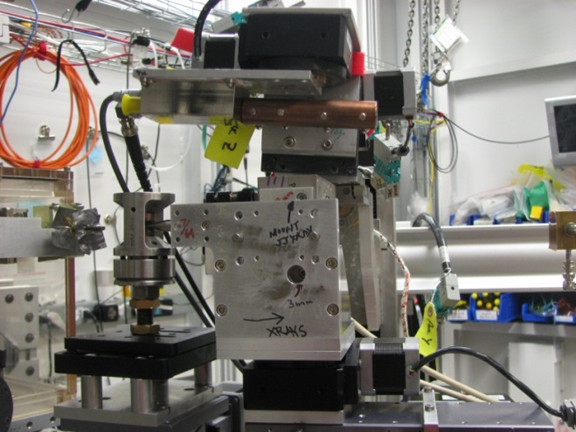 In an XRS experiment, the incident beam hits the sample, scattered x-ray is collected by spherically-bent single-crystal analyzers and focused to the solid state detector in a nearly backscattering geometry. The incident x-ray energy is scanned relative to the elastic line to determine the inelastic shift. 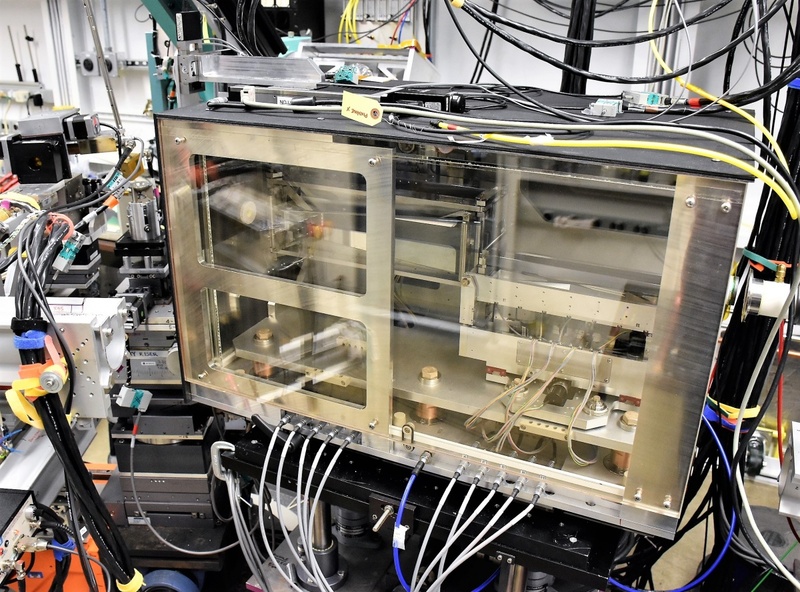 Using the same experimental setup of XRS, we can do an inelastic x-ray scattering experiment to get electronic band structure, excitions, plasmons, and their dispersions under high pressure. During IXS experiments, both incident x-ray energy and scattering angle need to be scanned to obtain the dielectric function and the dynamic structure factor. To improve the collection efficiency, we have designed, tested and finished commissioning a 17-element analyzer array. The array consists of three columns of 2-inch diameter bent silicon (111) analyzers from NJ-XRSTech in a vertical Rowland circle backscattering geometry. The energy resolution of the instrument is 1.0 eV.To reduce the scattering from the surrounding gasket, at the end of 2016, we have made a comparison of x-ray Raman spectra using post-sample slits versus that of a polycapillary optic. The advantage of the polycapillary is that its field of view is about 50 um, so it does not ‘see’ as much of the gasket scattering. The tradeoff is that the polycapillary has about a 20% transmission efficiency but a wider acceptance angle of collected scattering. The results of our comparison show a significant improvement in the signal/background ratio using the polycapillary. For the same sample and counting times, the background is reduced by an about a factor of 5 using the polycapillary. This is essential to be able to measure samples at mega-bar pressures. 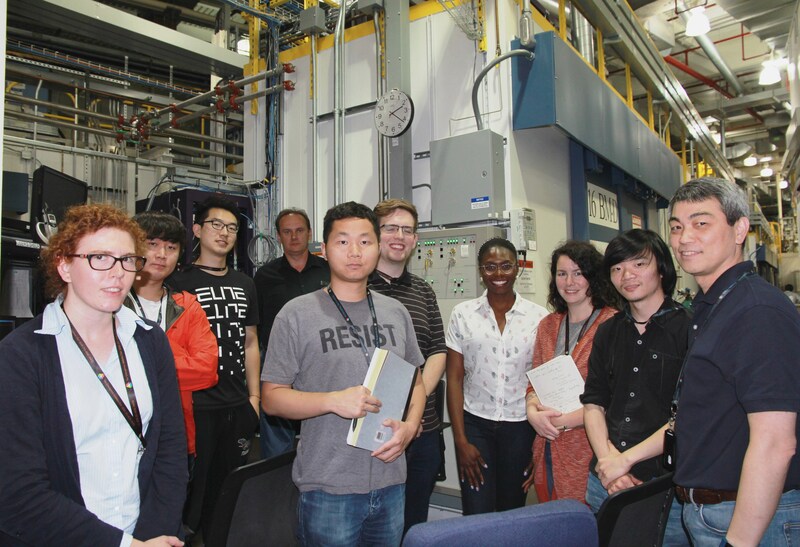 A Workshop on high-pressure time-resolved synchrotron techniques was held on September 25-27, 2014 at the Advanced Photon Source Conference Center and HPCAT, Argonne National Laboratory. More than 100 participants attended this two-and-a-half-day workshop. The attendees represented a diverse group of researchers at various career stages from different countries (US, Canada, Europe, China, Japan, India, and Australia) and different research environments (universities, national labs, research institutions and user facilities). Attendance of 32 young career scientists (students and postdocs) was made possible through generous travel grants from COMPRES and CDAC. There were 39 posters in the poster session, including techniques and instrumentation posters from HPCAT and contributed posters from attendees (mostly young career scientists). Large-volume data reduction and analysis. 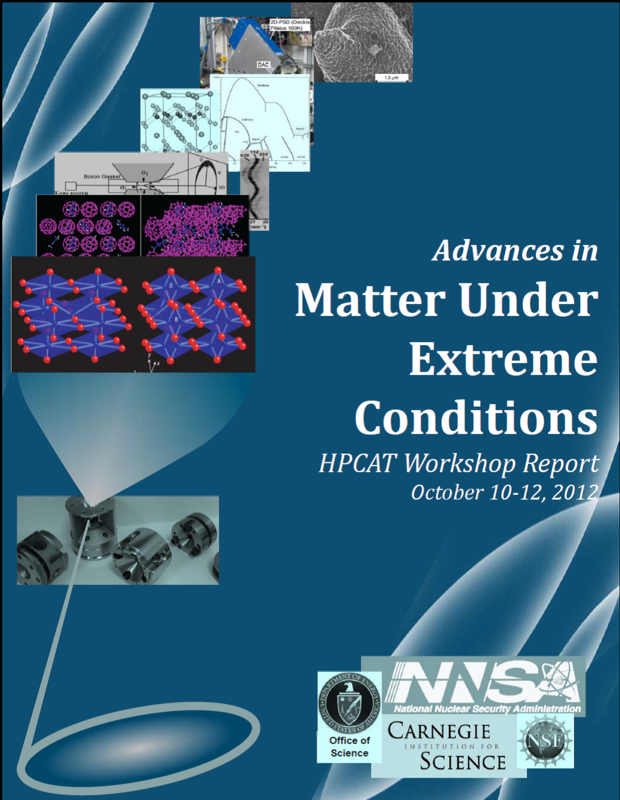 The hands-on / demonstration sessions were followed by tours of HPCAT experimental facilities. Local Organizing committee (HPCAT/CIW): Stas Sinogeikin, Yoshio Kono, Yue Meng, Dmitry Popov, Guoyin Shen, Jesse Smith, Yuming Xiao, and Freda Humble (local administrator). The PDF file with complete program, abstracts, and list of participants is attached. HPCAT hosted a group of eight graduate students as part of the 2018 Neutron and X-ray School on July 26-27, 2018. 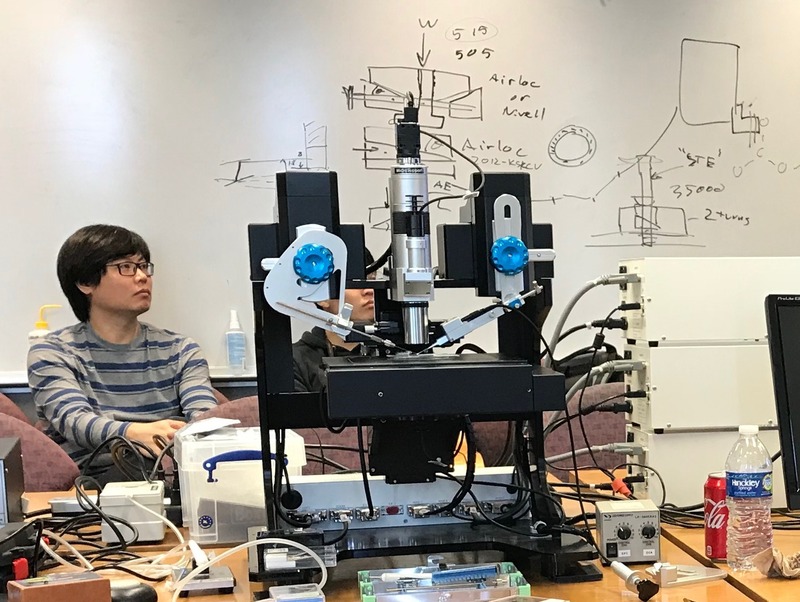 Beamline scientists, Dr. Changyong Park and Dr. Dmitry Popov, gave hands-on training for high-pressure X-ray diffraction experiment at 16-BM-D using a diamond anvil cell and a practical guide to the data analysis to the students during the two-day classes. 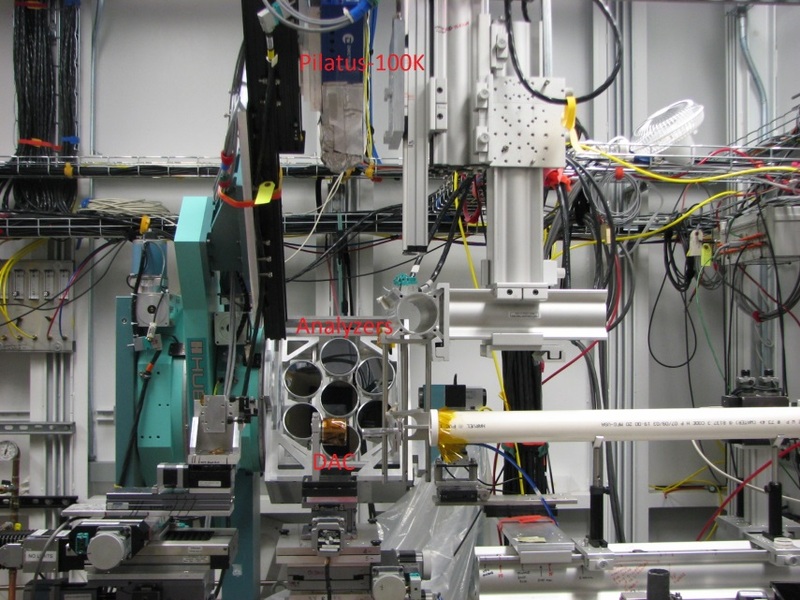 The main purpose of the National School on Neutron and X-ray Scattering is to educate graduate students in the use of major neutron and X-ray facilities. Students conduct short experiments at Argonne's Advanced Photon Source and at Oak Ridge National Laboratory's Spallation Neutron Source and High Flux Isotope Reactor, which provides hands-on experience for using neutron and synchrotron sources. 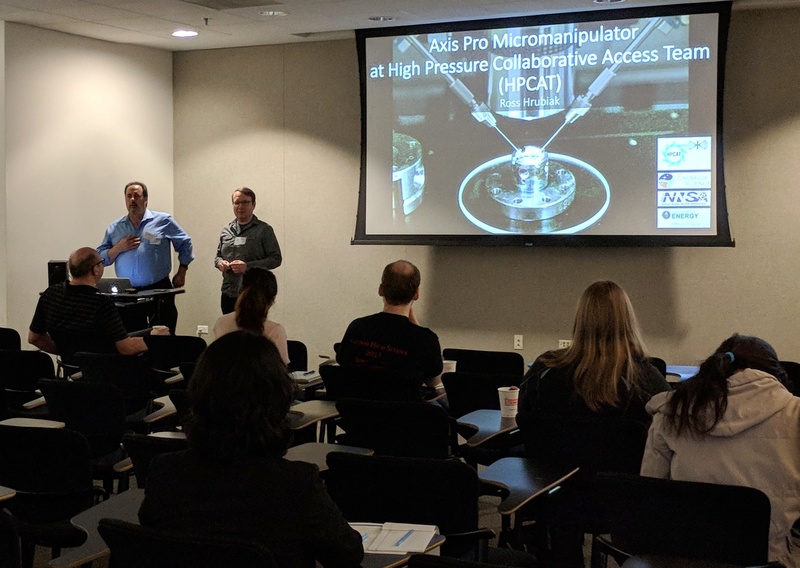 GSECARS, HPCAT and Barnett Technical Services hosted a hands-on workshop on May 10, 2018 dedicated to demonstrating the techniques and future developments of micro-manipulation work using the Axis Pro Micromanipulation System. This workshop provided a collaborative interaction between scientists throughout the U.S. to share best practices in their micro-manipulation work. Users learned about valuable techniques from others who perform the art and discussed future developments to provide for additional sampling modalities that will allow for extensions of their research. The morning session was comprised of presentations on methods and procedures, followed by an afternoon session with hands-on experience with these tools. Applied techniques demonstrated the use of the micromanipulator in loading DACs. HPCAT beamline scientist, Ross Hrubiak, was a presenter and co-organizer. On April 19, 2018, HPCAT hosted Chicago-area High School girls for the Science Careers in Search of Women Conference (SCSW) at Argonne National Laboratory. The young women attend the conference to learn about the research conducted at the laboratory, to network with professional women scientists and engineers, and to learn about careers in science and technology. The students were given a presentation by Beamline Scientist Yue Meng on the basics of high pressure science, and the high pressure research conducted at HPCAT. They were given a tour of HPCAT facilities and the ID-B experiment station. The students asked thoughtful questions and held and examined a diamond anvil cell. HPCAT enjoys the opportunity to participate in S.T.E.M. outreach activities each year. 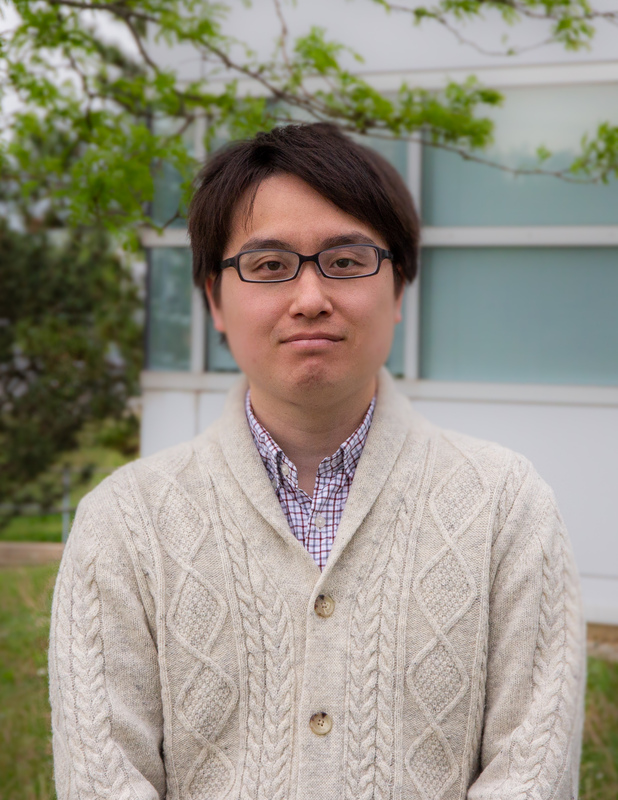 Itaru Ohira is a visiting scientist to HPCAT for the next year from Tohoku University, Japan, where he recently completed his Ph.D. His research focuses on the stability and elastic properties of hydrous minerals, and the structure of silicate glasses at the lower mantle conditions.